The Environmental Group Ltd’s (ASX:EGL) wholly owned subsidiary Total Air Pollution Control (TAPC) has been awarded a $12.9 million contract for the design and supply of the Gas Scrubbing Plant for a project in Western Australia. 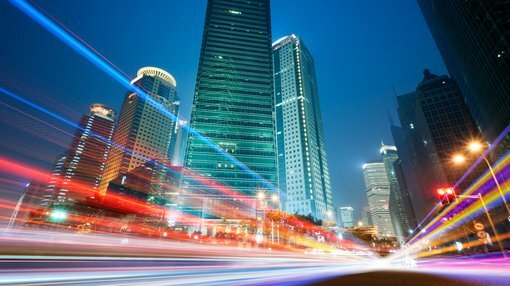 This resulted in EGL’s share price surging 10% on Friday, but there could be more upside to come as the microcap (market capitalisation: $12 million) company receives more recognition for its consistent financial performance which included earnings before interest and tax of $2.1 million in fiscal 2018. With regard to the size of the contract, this is an important development for the group as it equates to more than the company’s revenues for the full six months to December 31, 2018. It is also an endorsement of management’s targeted acquisition strategy which has seen the company grow in a measured way without placing undue strain on its balance sheet. 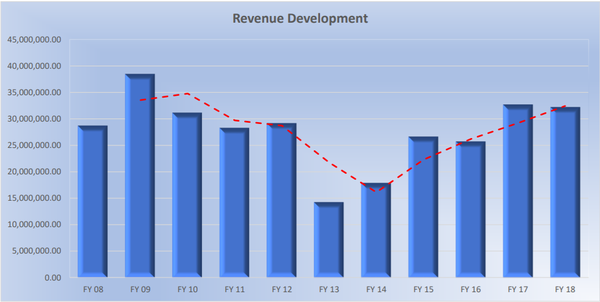 The revenue growth achieved by the company is evidenced in the following chart. Growth over the last five years has been particularly impressive as the company has generated compound annual growth of 17.6%. TAPC and its subsidiary Baltec Australia, which was purchased by EGL in October 2018, have worked collaboratively to produce a unique technical solution to manage the treatment of the waste gas generated by the Acid Baked Rotary Kiln to ensure environmental emission compliance. 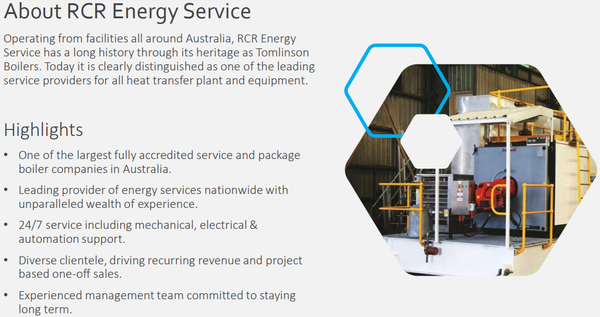 It has been a productive six month period for the group on all fronts, having completed the acquisition of the assets of RCR Energy Services from the administrators of RCR Tomlinson Group (ASX:RCR). The acquisition was consistent with the group’s strategy to pursue new growth and acquisition opportunities that are a fit with its environmental platform. Another area of its business is Baltec IES which produces inlet and exhaust systems for gas turbines used to complement and augment solar and wind energy production, without the use of rare mineral battery resources. Baltec IES was awarded its first offshore project in December by an international oil and gas group operating in North Australia. While this is a new division of EGL’s business, Baltec has established a strong reputation over three decades of servicing this industry, and its experience was instrumental in being awarded the contract. Another arm of the group’s operations, EGL Water, is developing patented technology in collaboration with Victoria University to reduce water pollution leading to an improved environment through low cost technology solutions.